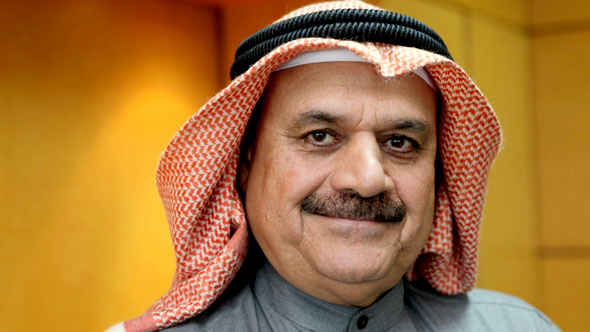 Interview with Faisal Ali Al-Mutawa, Chairman and Managing Director of Bayan Investment Company. According to capital standards, "The Kuwait investment sector in general continues to witness significant losses in comparison to other Gulf countries as of the second quarter of 2010, the total losses in Kuwait amounted to KD 422 million. Although Kuwait has the largest investment sector in the GCC, the significant losses are mainly attributed to the relatively risky business model of the companies in Kuwait." What is the outlook for Kuwait investment sector? I don't know about the figure that you said of KD 422 million, but I think the losses are much higher. Just to give you an idea, from the beginning of the international financial crisis that happened in 2008 until now, the Kuwaiti stock market lost something in the vicinity of 34 billion KD, which if you multiply by about 3.6 to get to the dollar rate: more than $120 billion worth of losses in the Kuwaiti stock market alone. Since the financial crisis, many countries in the world have taken several steps to decrease its ramifications, with the exception of Kuwait. Kuwait is among the very few countries that have huge surpluses but has done nothing so far. It also has a major daily income of $300 million from 3 million barrels of oil produced every day at a value of around $100 approximately. This is in a country of about 1.1 million citizens and 2.2 million expats in a geographical area of not more than 16,000 square kilometers. 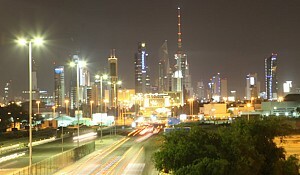 Since the financial crisis, Kuwait's income has increased while the Kuwait investment sector has deteriorated; as we can see, so many countries have issued bonds or borrowed money to tackle the financial crisis in their domestic economies, while Kuwait has totally neglected the internal situation and done nothing. In addition, with the Arab Spring around us, the revenue of investment has decreased tremendously, whether in the GCC or the Arab countries around us, either because of fear or because of real turbulence, like what happened and is ongoing in Egypt, Syria, Libya and Tunisia, and the fear of more spreading. I don't think there will be any Arab country that will avoid one way or another, some sort of public movement, democracy has to supersede in all these countries. Getting back to the economic situation in the Kuwait investment sector, the economy is always linked to the security and politics of each country and Kuwait has not tackled its domestic issues properly. To give you an example, although the income of the country has been increasing in the last three to four years, Kuwait has not spent anything of substance to tackle the problem and has, if anything, decreased spending in the budget that relates to the development of the country. You know, we had a five-year plan with an approved budget by the parliament for 36 billion Kuwaiti dinars, or about $130 billion, of approved budget for a five-year development plan. What has happened since it has been approved? When you want to invest you ask, "What do I invest in?" There are no opportunities. The government hasn't opened up; a privatization law has been passed but has not been enacted at all. Almost nothing. All this money that has been put in the budget every year is unspent and returned to the public funds although the country has been very hungry for these projects. Asset prices continue to deteriorate due to bad policies of the government, total negligence of the consequences of the financial crisis, and the absence of a minister of economy in Kuwait. We have a minister of treasury and a minister of commerce, but not a minister of economy, so nobody is really looking after the economy. 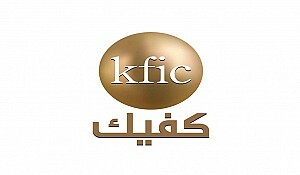 When the situation is left without attention, the government doesn't spend on the development plan, and other issues arise like the oversized government, too much bureaucracy, lots of corruption, combined with the psychological effects of the Arab Spring and the financial crisis, the outcome is a bad environment for the Kuwait investment sector. So, there is no real confidence in the system and, as we always say, stock markets are an indication of the economic confidence in the system – present and future, especially future, which represents the economic development. Since 2008, the Kuwaiti stock market has been worsening steadily; most of the world's stock markets have been up and down, but Kuwait has been almost one track. Just for comparison, when the financial crisis started, our indices were 2,000 points higher than the indices of Qatar, whereas today we are almost 3,000 below Qatar. Also, the Kuwaiti stock market has deteriorated the most among the GCC countries, even though most of the other GCC countries are not as rich as Kuwait. This decline is evident not only in the prices in the stock market, but also in the prices of real estate, business confidence, and consumer spending. The regulatory environment, as in the Central Bank of Kuwait, issued new regulations regarding liquidity and leverage ratios of investment companies. Also, when we interviewed others, they said that they set the level too high for companies to apply for funding. There's no real funding. They have developed what they call a stability program. They were trying to do something like Chapter 11, but they have made it so complex that only when a company gets bankrupt it gets there and that's not the real reason behind the existence of Chapter 11 in the Western sense. In the financial world, there are always good years and bad years and some companies sometimes face difficulties in paying their debts. 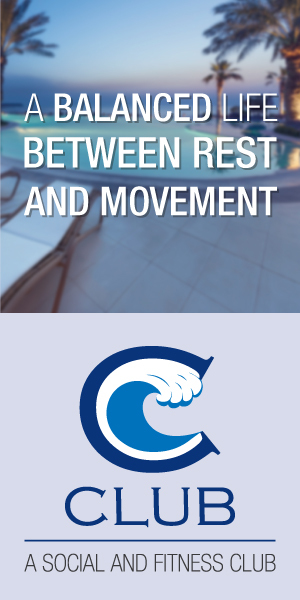 So, Chapter 11 gives them time – a couple of years – when the company debtors do not come after their debt against the company, so they allow the company to restructure and renegotiates its debt and payments. This is not what happened in Kuwait, unfortunately. We still have one of the most complex bankruptcy laws that I know of. I know of a few bankruptcies that took place in 1982 and are still not out. Just imagine 24 years since 1982 – the Manakh crisis – some companies & individuals went bust and they're still struggling in the courts. If we had Chapter 11 or something similar, the number of bankruptcies would have been reduced considerably and you wouldn't have to stay that long in courts or in the government bureaucracies just to settle. So, I have suggested many times that the bankruptcy law should change. What have they done to help companies that are having difficulties settling in their debts or having general liquidity problems since the financial crisis? All I know is, up to now, only one company has requested assistance - not by will but by default - under this new law that they have enacted to aid companies, especially investment companies, that have financial issues. So, it's not a proper law, I don't like it; I don't think it's the proper way to handle the situation. 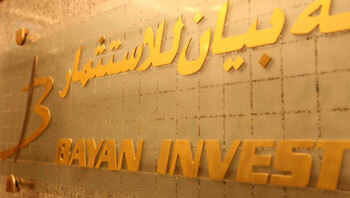 There is a total of 100 investment companies in Kuwait with 54 operating within the confines of Islamic Shari'a. What is the outlook for the industry, do you see more competition, leveraging, debt restructuring, or diversification of the business models of these investment companies? What do you see as the natural results of the environment? As I said, the investment environment in Kuwait is very bad. 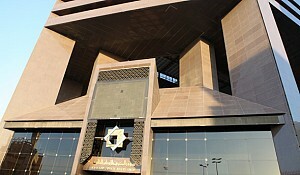 Kuwait has the largest and most expensive government in the world per capita. I don't know if it is also one of the least efficient in the world, but it's a very expensive government that does very little. It is a huge bureaucracy and there is a lot of corruption. When you have such a government, you don't have a proper environment for the investment sector to operate in and because of that the investment world is having a very difficult time these days. 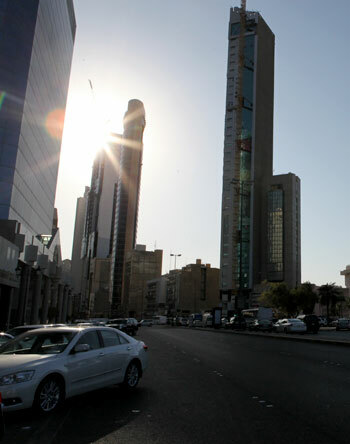 The government is in control of most of the assets in the country, like real estate – the government owns more than 90% of the land in Kuwait, some say even up to 93%. 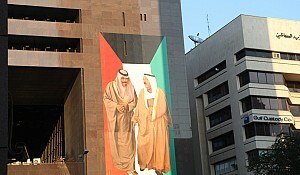 Kuwait government owns almost all the oil and the related services - production, distribution, refining, and marketing. So, there are no real investment opportunities in Kuwait's most vibrant sector. The Kuwaiti government is in control of all power stations for electricity, post offices, terrestrial communication lines, ports, airports, and most airlines. So, there isn't much to invest in, even investment in real estate has been badly damaged, not only because of the financial crisis, but also because of the economic wrong policies of the government. There are no investments, and the expat population has been leaving the country – although, of course the Arab Spring has stopped that due to problems in the expats' own countries. When the government has no new projects or businesses to develop, the real estate sector suffers, especially commercial real estate. When you want to invest you ask, "What do I invest in?" There are no opportunities. The government hasn't opened up; a privatization law has been passed but has not been enacted at all. They enacted a law called the BOT law, but nobody has been able to benefit from it because it has so many restrictions that investment companies don't find it interesting nor profitable enough to get involved. Most of the projects that the government put for the public have not received any interest from private investors, because of bureaucracy and restrictions. So, the investment sector environment is bleak. Now that we have discussed the environment, the question arises what are you doing to get ahead as a company? Bayan is not outside this environment; it's living in a very bad environment. We're surviving by trying to reduce our liabilities and cost and waiting for the economic reform that was promised a long time ago by the government. We are optimistic with the new government and new parliament coming that they might take a different course of action to the previous government. We think that the situation has deteriorated to an extent that the new government would have difficulty to do anything worse. Kuwait, of course, has all the capabilities to change direction very fast; we are neither Nigeria nor Sudan, we are not a super tanker, we are like a very small rich boutique that is unfortunately badly managed. If we change the management of the country, we can turn this small country into a vibrant economy very quickly because we have the resources, the people and a strong private sector that has been badly hurt but could revive very quickly; we're hopeful that this is going to take place. 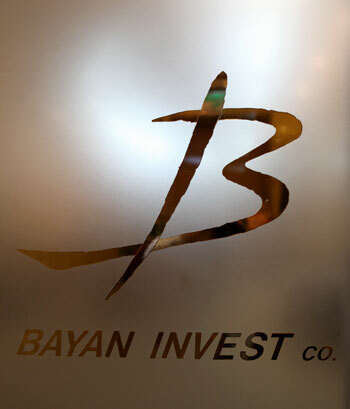 Bayan has survived and I hope it will survive enough until it can see the new improvement in the economy that has been promised and long been awaited. Where exactly do you see investment opportunities in Kuwait? I can see investment opportunities in the different sectors that have to be privatized in Kuwait; the health sector, the oil sector, the energy sector and the real estate sector. All these sectors have a lot of potential if the government takes the right actions to start properly the economic reform. Some are logistical, like changing laws or enacting new laws; for example, corporate law in Kuwait is still pre-1961 when we didn't even have the Kuwaiti dinar, we were dealing with the Indian rupee in those days as a British protectorate, and the law is still written in that currency. So much has happened in corporate modernization in the world and in Kuwait as well, yet we have to deal with such an old law. Indeed, there are lots of things to be done; the government has neglected the private sector for too long, thinking wrongly that since the government is generating a lot of income from Oil then why worry?! However, now they have found out that they are employing more than 93% of the Kuwaiti labor force; they have 50 people in some offices rooms so there is not enough space for them even to stand up together let alone to have a desk! So many people are not coming to work. We have a significant covered unemployment. They do pay them salaries, but this is not the way to handle people and to make them productive; people can earn their livings, like we do in the private sector. There's a lot to be done by our government, but things could turn around very quickly.